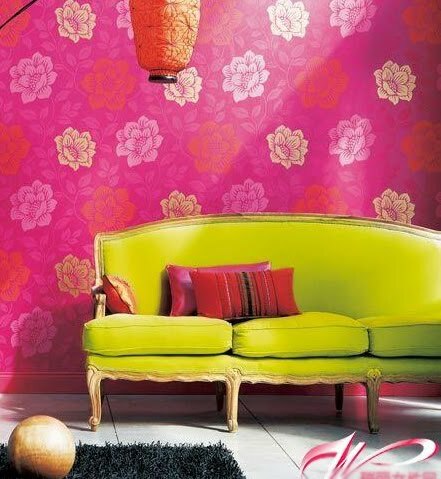 It is very bold to use contrasting colors in the living room， but this charming mauve wallpaper respond to the eye-catching lemon yellow sofa makes the living room very bright. 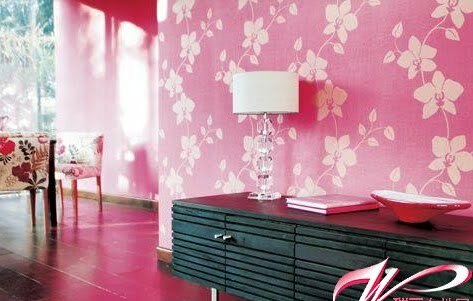 The wall capped with pink flowers wallpaper, that makes the living room full of romantic moods, at the same time, decorate the furniture with bright pink cotton textiles, delivering your emotions through blooming flowers, an bring bright moods as well as romantic atmosphere. 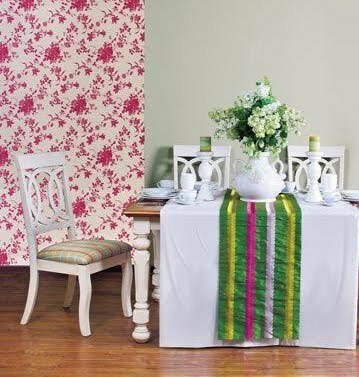 The lemon yellow flower wallpaper is the visual center of gravity, matched with bright red wall dado line and pink wall dados, which is a type of exaggerated and bold color combination, used in the black and white and grey space can make it more colorful, stylish and more energetic. 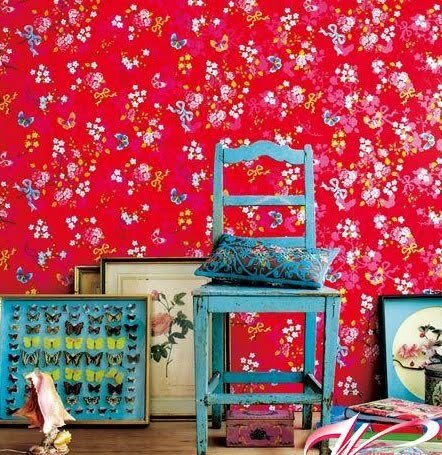 The wallpaper carpeted with pink and sky-blue floral pattern makes the small corner full of lovely sense of quietness, and at the same time produce innocent and wonderful imagination. The dull style wood chair painted in sky-blue and hanging ornaments placed at corners casually, indicates a type of casual and natural attitude of the owner. The contrast of sky-blue and vermeil matched harmoniously, and highlights the sweet and lovely temperament of the space.